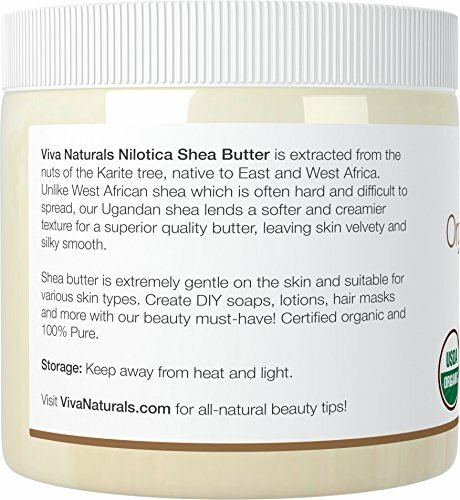 The secret to vacation-vibes skin is in the naturally hydrating power of organic shea butter. Fully loaded with vitamins and minerals your skin will adore, it’s the perfect starting point for your DIY clean beauty blends. 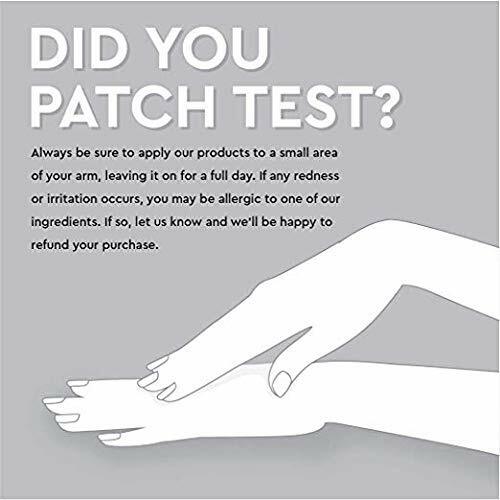 Make it the base to your tailor-made soaps, lotions, butters, and balms, and bask in the joy of soft, supple skin. By the way:Because our shea butter is all natural, it’s pretty sensitive to temperature. 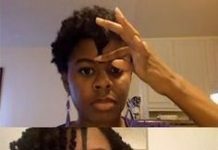 It can go from liquid, to solid, to grainy in snap. That’s totally normal, and doesn’t change the quality or effectiveness at all. Just warm it or cool it to whatever consistency works for you. 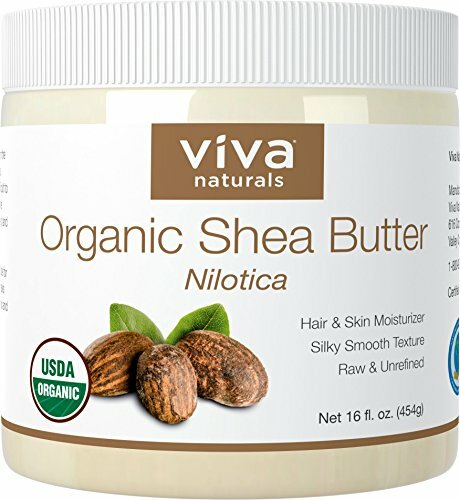 Moisturizing Body Butter:Mix together ¼ cup of Viva Naturals Nilotica Shea Butter with ¼ cup of Viva Naturals Coconut Oil, then mix in a few drops of your favorite essential oil until well combined. Transfer to a container and store in a cool, dark place. All-Natural Face Cream:Mix 1 tablespoon of Shea Butter with one drop of rosemary oil. Massage into your skin using a circular motion, being careful not to get it in your eyes. 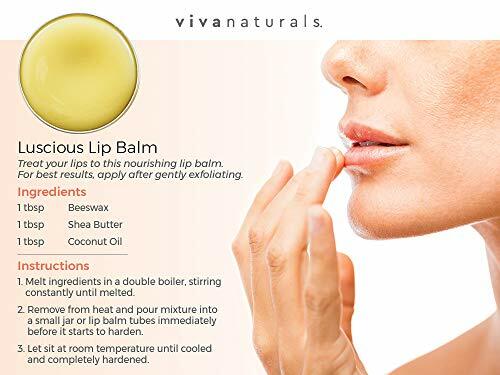 Refreshing Lip Balm:For soft lips, melt 2 tbsp of Shea Butter, 2 tbsp of beeswax pastilles, 2 tbsp of Viva Coconut Oil and 5-10 drops of peppermint essential oil in a double boiler, or small glass bowl over a pot of boiling water. Stir constantly until melted. Remove pan from heat (keeping the bowl over the water to keep the mixture melted). Working quickly, use a dropper to fill lip balm tubes. 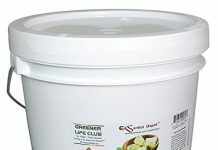 Let sit at room temp until hardened before capping. DIY Hair Mask:For beautiful, shiny hair, melt 1 tbsp of Shea Butter with 2 tbsp of Viva Coconut Oil in a microwave or double boiler. Let cool until almost solid, and add 1 tsp Viva Argan oil. Whip together for 3-5 minutes for a more spreadable texture. 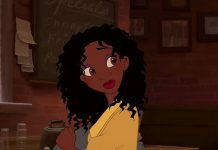 Comb through clean, dry hair and let sit for 30 minutes. Rinse hair, and shampoo as usual. 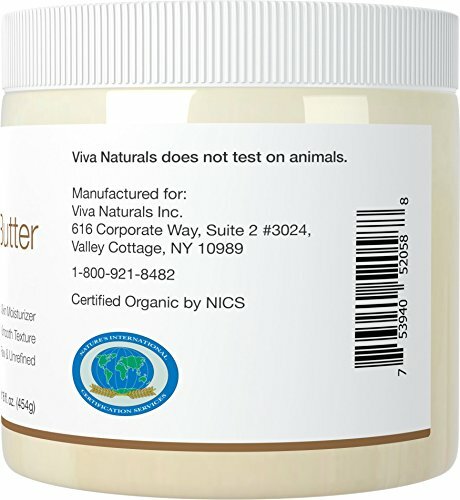 Great for quenching dry hair and taming frizz, naturally.GRADE ‘A’ SHEA ALL THE WAY – Raw, unrefined, and certified organic, our shea butter is thoughtfully processed to preserve its and vitamins, ensuring your skin is getting the youth-inspired nourishment it needs to stay soft and supple. QUENCH YOUR THIRSTY SKIN – Bursting with skin-loving vitamins A, E, and essential fatty acids, our shea butter absorbs beautifully, embracing you with hydration that will quench and nourish tired, thirsty skin. 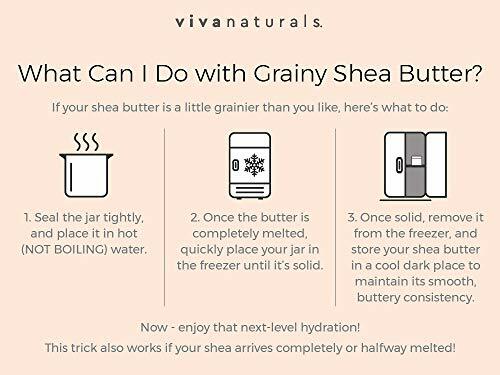 PERFECT FOR DIY BEAUTY RECIPES – Multi-talented and easy to work with, use Organic Shea Butter as the secret hydrating ingredient in homemade body butters, lip balms, soaps, lotions. 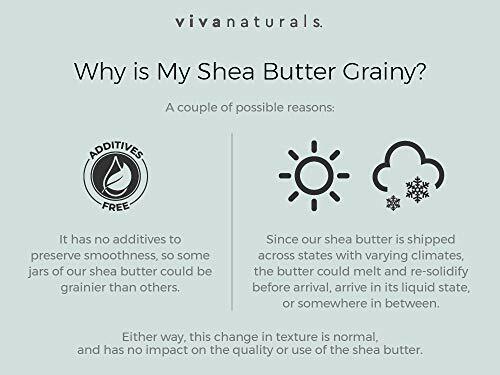 MILD, NATURAL SCENT – While other raw, unrefined shea butters can have a strong scent, ours is light and mild, so it won’t overpower your favorite DIY recipe.